Whether you are carrying, lifting or installing the Sunmodule Plus, handling is easy and secure. 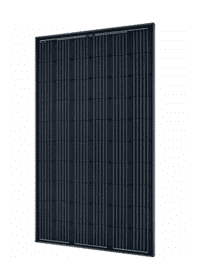 With the module frame which has a wave-shaped, reinforced profile, the module is particularly robust, and easy and quick to install. The Sunmodule Plus delivers maximum flexibility for nearly every application. The frame can be combined in many ways with mounting systems, and clamping is possible on the short sides of the module. The flange that facilitates installation and grounding from the rear offers further flexibility during installation. The Amphenol H4 plug is compatible with all common solar cables. SolarWorld AG is one of the largest solar companies worldwide and has locations in all key target markets with the production facility in the university town of Freiberg in the German state of Saxony. All production phases, from silicon through to finished modules are housed here right beside the group’s research and development company, SolarWorld Innovations. SolarWorld’s uniform quality standards and high-tech manufacturing are essential for meeting the challenge of global competition.